Seeking style and serenity? 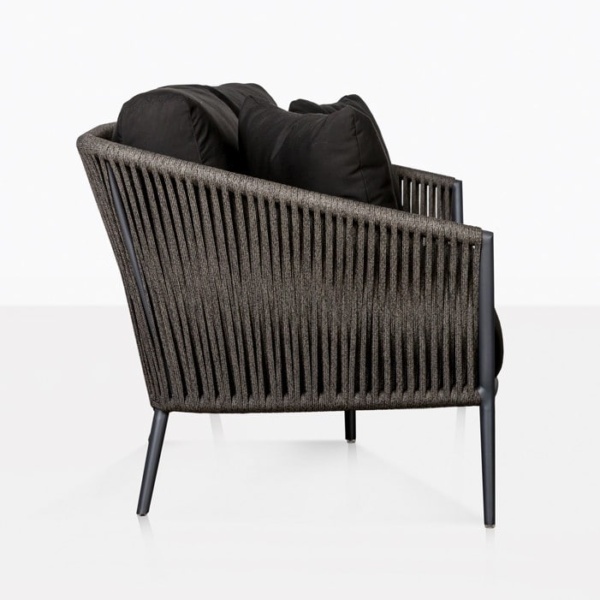 We are pleased to present the dashing Washington Rope Outdoor Loveseat exclusive to Design Warehouse. Rich in comfort with an effortlessly modern design, the chic style of the Washington 2 Seater Loveseat is defined by the opulent blend of materials and charismatic design. 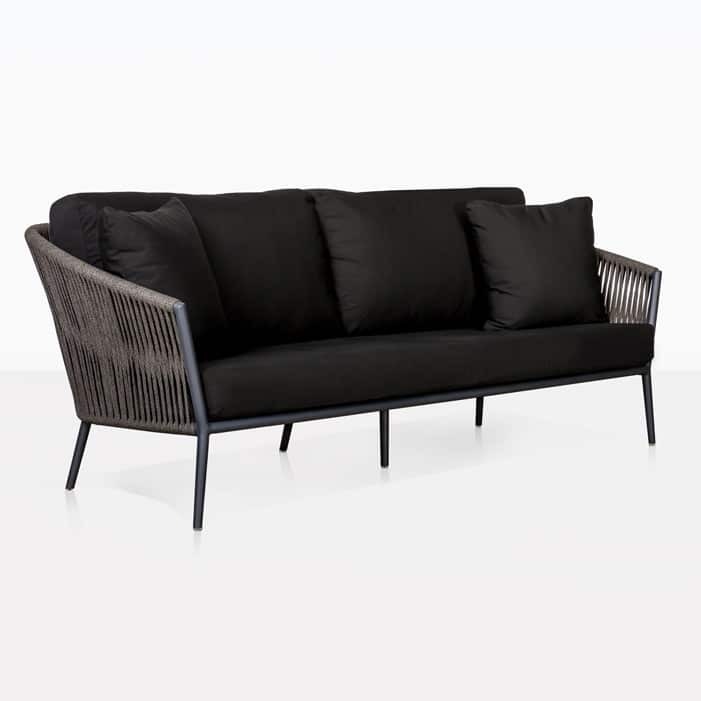 Deep seating, curved arms, on robust but slender legs, wrapped with soft dark grey rope and furnished with pillowy cushions – this is the ultimate in luxury for your great outdoors! The perfect blend of materials, comfort and inspired aesthetic, the Washington Outdoor Collection is an incredible 5-piece set that works en-masse or bought separately. Options are endless with this charismatic and comfortable outdoor suite. Whether in the garden, on the verandah or building a sanctuary of relaxation on your patio, this is a suite that won’t be ignored! 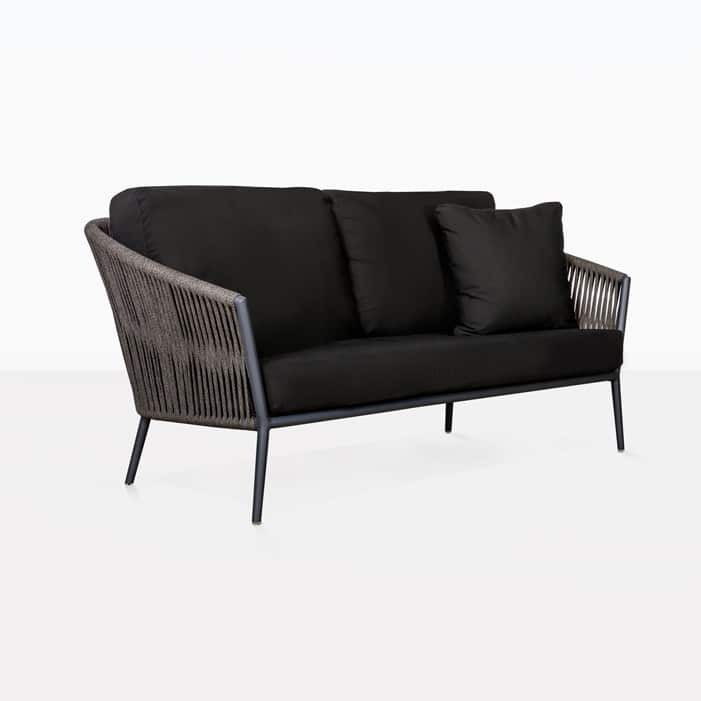 Alongside the Washington Rope Loveseat are a generous 3 Seater Sofa, Club Chair, and Dining and Bar Chairs. Is your verandah space is desperately seeking furniture, but perhaps doesn’t have a huge amount of space? 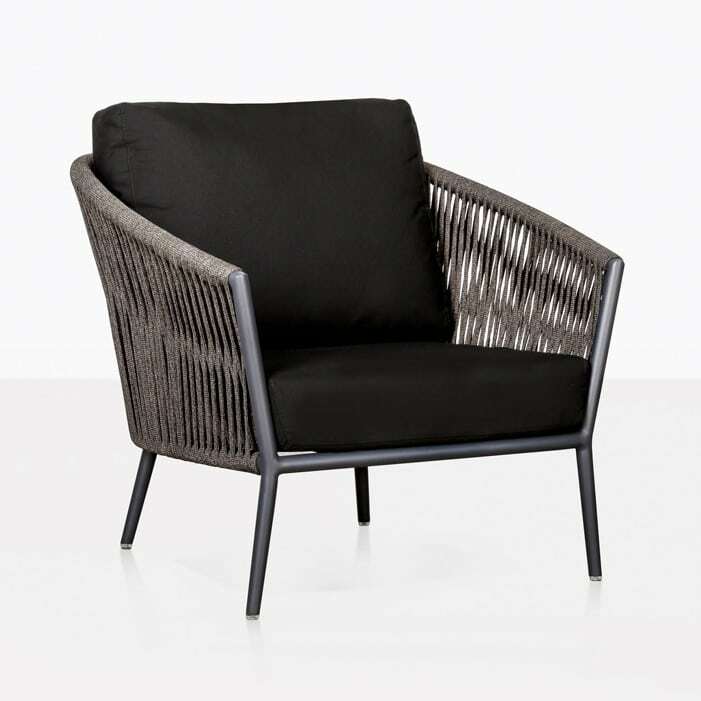 Get ready for a chic outdoor setting to host your friends in style by starting with the Washington Rope Outdoor Loveseat, framed with 2 Club Chairs, for a gentle C shape that will encourage conversation, relaxation and, with the addition of a fabulous coffee table, is the perfect casual dining set up for a modest area. Perhaps your café or restaurant has a courtyard that is calling for comfort? Set up your Washington 2 Seater Loveseat with some complementary Outdoor Sofas for a sleek look and cushy demeanor your customers will love. And why stop there? Set up a few patio tables with our Washington Dining Chairs to tie the whole look together. Design Warehouse is proud to carry the most extensive range of outdoor furniture and furnishings in New Zealand, and the Washington Rope Outdoor Furniture Collection is no exception! From the powder coated aluminum, to the Italian outdoor polypropylene rope and Sunbrella® cushions filled with QuickDry foam; be assured that you are getting top-tier quality marine-grade, outdoor products. 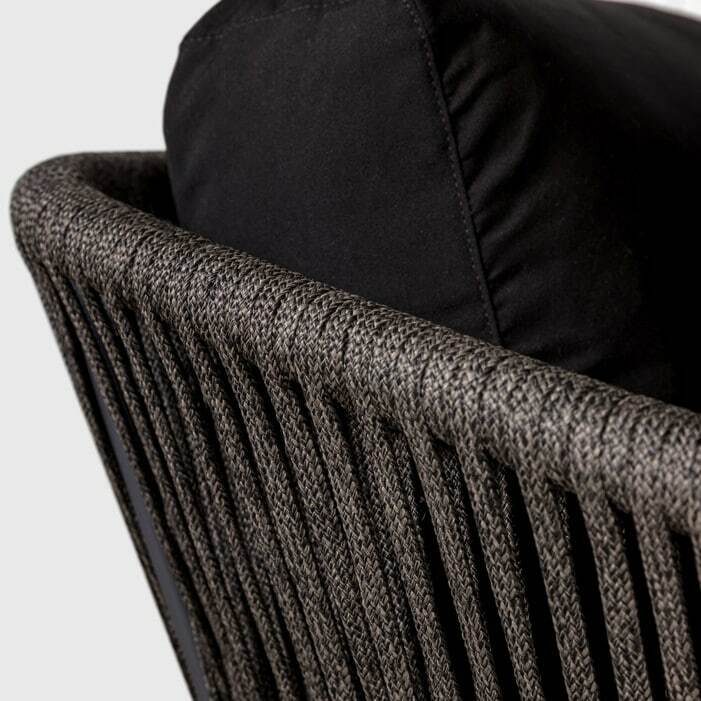 We are also pleased to remind you that Sunbrella® cushions are free with every purchase from the Washington deep seating range of outdoor furniture, so what are you waiting for? Call us today to secure your beautiful piece of outdoor excellence.